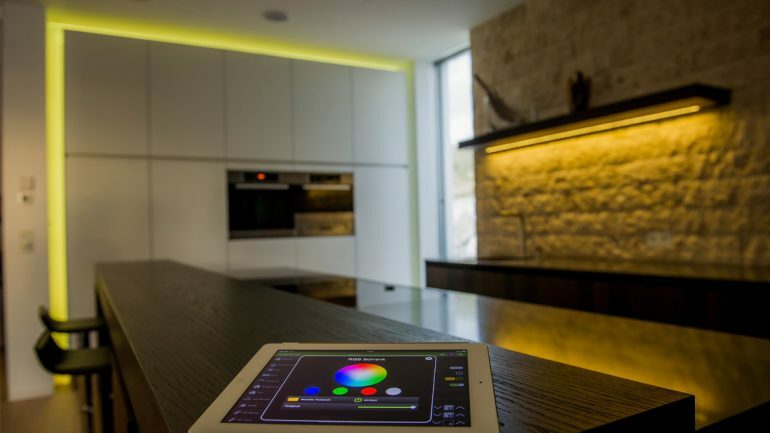 …but which smart home technologies are buyers really looking for? A secure home – smart technology can combine with existing components around your home to provide a comprehensive smart alarm system, without the expensive set up costs. Allowing you to monitor, alarm and defend you home all via a single integrated security system. Energy and cost saving potential will also make a buyer’s ears perk up according to estate agent research. A smart home helps you identify energy saving potential, disable devices you have left on standby and optimise your use of solar power. Smart home entertainment and lifestyle features are becoming the expected amongst the ‘Generation X’ house buyers, the top adopters of smart home technology according to Coldwell Banker. Whether it is an integrated home cinema and audio system, lighting for every occasion or giving your house the true wow factor. The right technology brings your lighting, sound and entertainment systems together in perfect harmony. Amica Electrical can create you a seamlessly connected, affordable smart home, that covers every element of daily life; from lighting, to security, your audio and music system, to the blinds at your windows, all controlled through a single intelligent device: the Miniserver and a user friendly App. A customer can choose the level of automation that they require – the system is modular, and can be built up over the years as you add more technology to your home. The result is a truly future proof home that doesn’t cost the earth but can save you money. Live Life Intelligently – the future looks smart.